UI animation and marketing animation for the Youtube Kids app. 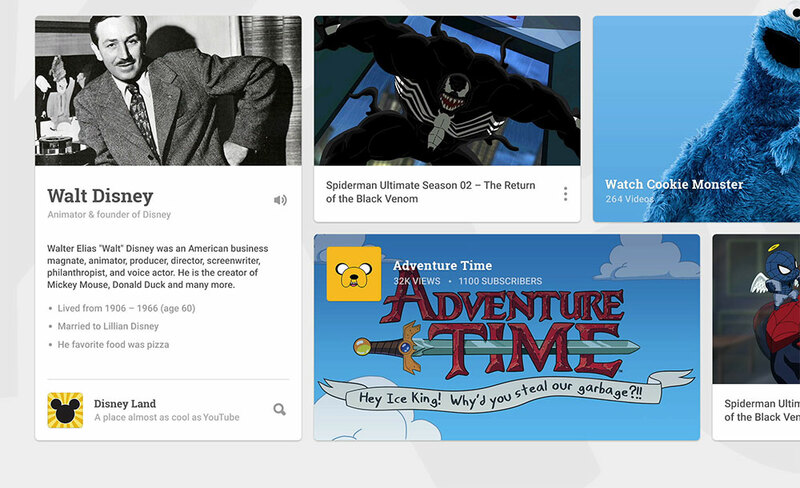 I teamed up with Hello Monday to help with bring the new Youtube Kids app alive for Google. I spent a month and a half iterating on the next version of UI animation, adding delight and visual hierarchy, as well as flying out to SF to concept future features with the team. In my last week I teamed up with Josh Parker to create a small internal announcement animation. Welcome to the weird world of YouTube Kids!